Aryabhatta was born in 476CE in Patliputra in Magadha, (modern Patna) in Bihar. He was the great mathematician-astronomer from the classical age of Indian mathematics and Indian astronomy. He is the man who invented “0” and helped the world solving its many issues. It is believed that Aryabhatta was born in region between Narmada and Godavari of central India. But exactly nothing is known about his birthplace. According to some researches and studies it was found that at some point in time, Aryabhatta went to Kusumapura for advanced studies and lived there. He studied both Hindu as well as Buddhist tradition there. It is believed that Aryabhatta might have been the head of the Nalanda University, as it had an astronomical observatory at the time. Aryabhatta set up an observatory at the Sun temple in Taregana, Bihar. 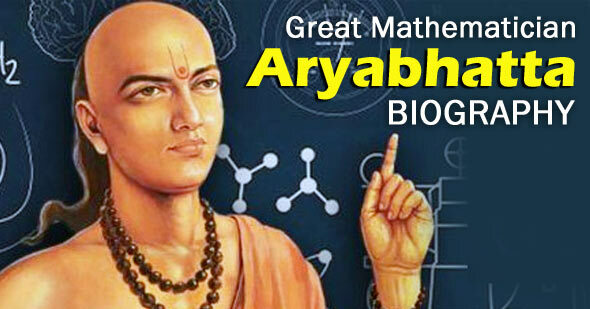 Aryabhatta’s major work is comprised of Mathematics and Astronomy. Most of the Aryabhatta’s work can be known from Aryabhatiya. His work in mathematics and astronomy is extensively referred to in Indian mathematics literature and able to be part of modern mathematics also. If we see the mathematical section of Aryabhatiya, we will see his work in arithmetic, algebra, plane trigonometry and spherical trigonometry. Along with these major sections of mathematics it also contains the work done by him in the continued fraction, quadratic equations, sums-of-power series and sine tables. The Aryabhatiya also contains description of various astronomy instruments invented by Aryabhatta like the gnomon (shanku-yantra), a shadow instrument (chhaya-yantra), possibly angle-measuring devices, semicircular and circular (dhanur-yantra / chakra-yantra), a cylindrical stick yasti-yantra, an umbrella-shaped device called the chhatra-yantra, and water clocks of at least two types, bow-shaped and cylindrical. He also described the Motion of Solar System, details of Eclipses, Sidereal Rotation periods and Heliocentrism. It is also believed that some of the Aryabhatta’s work of that time is lost. Aryabhatta passed away in 550 CE. He was 74 years at the time. But exact locations of his last period of life and whereabouts are still unknown to the world.